Exclusive! 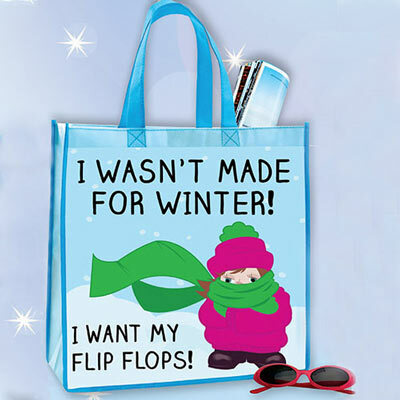 Keep that summertime feeling all winter long with our Flip Flop Tote! Non-woven polyester displays a great message. Coated for easy wipe off cleaning. Imported. 14"w, 12"l handles.